Are you aware of the many verses in the bible that instruct us to study the Word of God? If you haven’t been studying it, you may not be! If you are a follower of Jesus Christ it is vital that you become a student of the Word of God. Without studying the Word we will never know who our God is, who our beautiful Savior is, who the Holy Spirit is and what God expects of us as we follow Christ. If we are lazy in our studying we will crippled in our thinking and in our walk! Without renewing our mind on the truth of God’s Word we will never walk in truth or victory. We will be vulnerable to the world’s way of thinking. Let’s take a look at just some of the Bible verses that encourage us to study God’s Word…. 2 Timothy 3:12-17 NIV 12 In fact, everyone who wants to live a godly life in Christ Jesus will be persecuted, 13 while evildoers and impostors will go from bad to worse, deceiving and being deceived. 14 But as for you, continue in what you have learned and have become convinced of, because you know those from whom you learned it, 15 and how from infancy you have known the Holy Scriptures, which are able to make you wise for salvation through faith in Christ Jesus. 16 All Scripture is God-breathed and is useful for teaching, rebuking, correcting and training in righteousness, 17 so that the servant of God may be thoroughly equipped for every good work. Joshua 1:8 NIV 8 Keep this Book of the Law always on your lips; meditate on it day and night, so that you may be careful to do everything written in it. Then you will be prosperous and successful. Deuteronomy 11:18-28 NIV 18 Fix these words of mine in your hearts and minds; tie them as symbols on your hands and bind them on your foreheads. 19 Teach them to your children, talking about them when you sit at home and when you walk along the road, when you lie down and when you get up. 20 Write them on the door frames of your houses and on your gates, 21 so that your days and the days of your children may be many in the land the Lord swore to give your ancestors, as many as the days that the heavens are above the earth.22 If you carefully observe all these commands I am giving you to follow to love the Lord your God, to walk in obedience to him and to hold fast to him— 23 then the Lord will drive out all these nations before you, and you will dispossess nations larger and stronger than you. 24 Every place where you set your foot will be yours: Your territory will extend from the desert to Lebanon, and from the Euphrates River to the Mediterranean Sea. 25 No one will be able to stand against you. The Lord your God, as he promised you, will put the terror and fear of you on the whole land, wherever you go.26 See, I am setting before you today a blessing and a curse 27 the blessing if you obey the commands of the Lord your God that I am giving you today; 28 the curse if you disobey the commands of the Lord your God and turn from the way that I command you today by following other gods, which you have not known. Psalm 119: 9-16 NIV 9 How can a young person stay on the path of purity? By living according to your word. 10 I seek you with all my heart; do not let me stray from your commands. 11 I have hidden your word in my heart that I might not sin against you. 12 Praise be to you, Lord; teach me your decrees. 13 With my lips I recount all the laws that come from your mouth. 14 I rejoice in following your statutes as one rejoices in great riches. 15 I meditate on your precepts and consider your ways. 16 I delight in your decrees; I will not neglect your word. 2 Timothy 3:1-17 NIV But mark this: There will be terrible times in the last days. 2 People will be lovers of themselves, lovers of money, boastful, proud, abusive, disobedient to their parents,ungrateful, unholy, 3 without love, unforgiving, slanderous, without self-control, brutal, not lovers of the good, 4 treacherous, rash, conceited, lovers of pleasure rather than lovers of God— 5 having a form of godliness but denying its power. Have nothing to do with such people.6 They are the kind who worm their way into homes and gain control over gullible women, who are loaded down with sins and are swayed by all kinds of evil desires,7 always learning but never able to come to a knowledge of the truth. 8 Just as Jannes and Jambres opposed Moses, so also these teachers oppose the truth. They are men of depraved minds, who, as far as the faith is concerned, are rejected. 9 But they will not get very far because, as in the case of those men, their folly will be clear to everyone.10 You, however, know all about my teaching, my way of life, my purpose, faith, patience, love, endurance, 11 persecutions, sufferings—what kinds of things happened to me in Antioch, Iconium and Lystra, the persecutions I endured. Yet the Lord rescuedme from all of them. 12 In fact, everyone who wants to live a godly life in Christ Jesus will be persecuted, 13 while evildoers and impostors will go from bad to worse, deceiving and being deceived. 14 But as for you, continue in what you have learned and have become convinced of, because you know those from whom you learned it, 15 and how from infancy you have known the Holy Scriptures, which are able to make you wise for salvation through faith in Christ Jesus. 16 All Scripture is God-breathed and is useful for teaching, rebuking, correcting and training in righteousness, 17 so that the servant of God may be thoroughly equipped for every good work. Psalm 119:105 NIV 105 Your word is a lamp for my feet, a light on my path. Romans 12:2 NIV 2 Do not conform to the pattern of this world, but be transformed by the renewing of your mind. Then you will be able to test and approve what God’s will is His good, pleasing and perfect will. 2 Timothy 2:15 NIV 15 Do your best to present yourself to God as one approved, a worker who does not need to be ashamed and who correctly handles the word of truth. 1 John 2:3-6 NIV 3 We know that we have come to know Him if we keep His commands. 4 Whoever says, “I know Him,” but does not do what He commands is a liar, and the truth is not in that person. 5 But if anyone obeys His word, love for God is truly made complete in them.This is how we know we are in Him: 6 Whoever claims to live in Him must live as Jesus did. These are but a few of the many verses found that tell us of the importance of studying and knowing His Word! I will wrap up with one final scripture. Here we see how imperative it is that we have the Sword of the Spirit, which is the Word of God, as part of our complete armour in order to walk out our walk with Christ! Ephesians 6:11-17 NIV 11 Put on the full armor of God, so that you can take your stand against the devil’s schemes. 12 For our struggle is not against flesh and blood, but against the rulers, against the authorities, against the powers of this dark world and against the spiritual forces of evil in the heavenly realms. 13 Therefore put on the full armor of God, so that when the day of evil comes, you may be able to stand your ground, and after you have done everything, to stand. 14 Stand firm then, with the belt of truth buckled around your waist, with the breastplate of righteousness in place, 15 and with your feet fitted with the readiness that comes from the gospel of peace. 16 In addition to all this, take up the shield of faith, with which you can extinguish all the flaming arrows of the evil one.17 Take the helmet of salvation and the sword of the Spirit, which is the word of God. We need our sword to fight! It is critical to have an offensive weapon to strike back at our opponent! 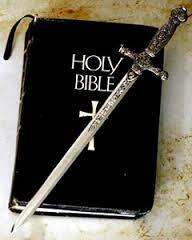 (Satan) The Word of God is that sword! We all need to use our time wisely! Life is short and we have much to do before the Lord Jesus returns! Don’t neglect spending time in His Word. It will change you from the inside out and prepare you for any battle you may face! Idleness and Pity are not your calling! It is a wonderful thing to be part of a church family. Just as with any family there are many different personalities and giftings among the members. You will not find any perfect people among either family. You will find people that hopefully are growing in love for one another and learning to reach out and touch the lives of others within the four walls of the church and outside the four walls. Just as our biological families should give us a place to grow and develop, hopefully in a safe environment, our church families should do the same. The church is a place where each member should have a purpose and function. God has gifted each of us uniquely to minister to others in such a vast variety of ways. We are all to use our giftings. Sadly some come to church hoping to have their needs met without ever learning to help meet the needs of others around them. They get discouraged and disappointed when others seemingly let them down, yet seldom reach out and help others in need themselves. There really is no place for selfish ambition or selfishness in the church. Paul gives us clear instruction on how we are to function as a family in Romans 12. As we can see, no where is there a place for selfish ambition or selfishness. We are all called to serve. If you find yourself disappointed in others or discouraged that your needs are not being met, perhaps it is time to start using your giftings to be a blessing to others. We are to live a poured out life, not a life sitting idly and waiting for others to pour out on us. Time is too short to be wasted in pity and idleness. We all have been called for a purpose. Seek God for your purpose among the body and get busy fulfilling it! 3 For by the grace given me I say to every one of you: Do not think of yourself more highly than you ought, but rather think of yourself with sober judgment, in accordance with the faith God has distributed to each of you. 4 For just as each of us has one body with many members, and these members do not all have the same function, 5 so in Christ we, though many, form one body, and each member belongs to all the others. 8 if it is to encourage, then give encouragement; if it is giving, then give generously; if it is to lead, do it diligently; if it is to show mercy, do it cheerfully. 9 Love must be sincere. Hate what is evil; cling to what is good. 10 Be devoted to one another in love. Honor one another above yourselves. .13 Share with the Lord’s people who are in need. Practice hospitality. 15 Rejoice with those who rejoice; mourn with those who mourn. 16 Live in harmony with one another. Do not be proud, but be willing to associate with people of low position.Do not be conceited. 17 Do not repay anyone evil for evil. Be careful to do what is right in the eyes of everyone. 18 If it is possible, as far as it depends on you, live at peace with everyone. 19 Do not take revenge, my dear friends, but leave room for God’s wrath, for it is written: “It is mine to avenge; I will repay,” says the Lord. If we live each day serving as we have been called to serve, we will be too busy to sit around feeling sorry for ourselves. It’s time for each of us in the body of Christ to wake up and begin to live as we have been called to live, as a living sacrifice serving our brothers and sisters and reaching out to a world that is dying. Read and reread Romans 12 and perhaps write it out as a daily reminder of what we have been called to do. Let’s not waste another day! One of the things I love about the word of God is that it really does set us free where and when we apply it. It has the ability to replace lies we have believed about ourselves, about others and about our Savior. If we read it, digest it and then apply it to any area of our life where we are struggling it can and will set us free! The secret is not just to read it or hear it spoken somewhere, we MUST apply it. I was sharing this week with another new believer how fear used to control so much of my life. I would fear making a decision in case it was the wrong one. I would fear God’s wrath more than rest in His love. I would fear man and their opinions etc. It controlled a lot of my life and thinking. When I grew tired of being so fearful I decided to take a look at the scriptures about fear in my Bible. I wrote many of them out. It wasn’t enough just to write them out. When a fearful thought would begin to form I would have to combat that thought with the Word of God and not give it place in my thinking. It worked! I was being transformed by the renewing of my mind through the Word of God. I will list just a few of those verses on fear here, my favorite being 2 Timothy 1:7 NKJV 7 For God has not given us a spirit of fear, but of power and of love and of a sound mind. So when fear would come upon me I could reject the fear knowing it was NOT coming from God! Another one is Isaiah 41:10 NIV So do not fear, for I am with you; do not be dismayed, for I am your God. I will strengthen you and help you; I will uphold you with my righteous right hand. Fear is but one area that a person can be bound. There are too many to list here, however every one of those areas can be defeated through the Word of God if you read it, digest it and apply it! Too often people want an instant fix from the things that bind them but the most effective way to be free is to apply the Word of God to whatever it is. 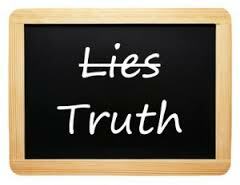 John 8:32 NIV says 32 Then you will know the truth, and the truth will set you free.” Freedom comes from applying the Word anywhere we have believed a lie in our lives. As I mentioned earlier, my battle with fear was only overcome when I searched the Bible for verses on fear, wrote them out and when fear would try and take hold of my heart, I woke quote those verses and stand on them as they are from the word of God and the word of God is truth! The Bible is powerful. It is supernatural. It is truth. It can be relied upon, when applied, to change our lives for good. It has the power when applied to conform us into the image of our Savior! That’s powerful! If you are struggling in a particular area of your life and don’t seem to be able to have freedom in that area, it’s time you got serious about getting into God’s word and applying it. Freedom seldom comes without determination. You must decide you no longer want to be struggling in this area and search the scriptures for all the verses on this particular thing and then use that scripture as a weapon! Do not accept every thought that comes but challenge those thoughts of defeat and combat them with God’s word. That is how change comes about! Using the word as our weapon to stand on! Freedom will come to you as you replace the lies you are believing with the truth of God’s word! Renew your mind on the truth! Romans 12:2 NIV 2 Do not conform to the pattern of this world, but be transformed by the renewing of your mind. Then you will be able to test and approve what God’s will is—his good, pleasing and perfect will. What are you feeding your mind? The Word of God says Jesus is coming back for a church without spot or wrinkle. I want to be part of that and I expect all followers of Christ do too! So why is it we see so many in the body of Christ more concerned about watching the next big game, or episode of their favorite tv show than they are about being ready for our Kings return? We need to be like the virgins with their lampstands and be ready! Sadly we have allowed our minds to become too preoccupied with temporal things and have shelved eternal things, thinking we can always get back to them. I feel a stirring in my heart that I need to lay aside the things that easily distract me and move into a deeper walk with Jesus. I have spoken to many people lately that have that same stirring. So how do we go about doing that? We need to start by changing what we are feeding our minds. If we haven’t been reading our Bibles it’s time to get back to doing that. It’s our love letter from our Father and without it we will not grow spiritually. We need to humble ourselves and ask for forgiveness for putting anything and or everything before Him. We need to renew our minds on truth. Our walk with Christ is a journey from glory to glory. In order to grow more like our Savior we need to spend time with Him in prayer and spend time in His Word renewing our minds. As much as I like to watch and read current news, I realize though it informs me of the troubles of the world, it can’t offer any real solutions. And though I like to educate myself on issues like health, food, gardening etc.. I need to bear in mind that these things too are temporal. Good to know but if I am spending more time on them than time with the lover of my soul, my walk with Him will begin to suffer. The things we spend the most time feeding our minds on are the things that will grow and flourish within us. What we feed grows and what we neglect dies that’s why it is so critical to keep our minds set on eternal things. Otherwise, our walk with Christ will suffer greatly and our growth will stop. We will find ourselves stumbling around in the dark wondering what happened? We lose our peace, joy, spiritual discernment and so many other things that God freely gives us when we don’t abide in Him. If you find yourself in that place now, cry out to Jesus. Ask Him to forgive you for putting anyone or anything before Him, confess your sins to Him. His Word tells us that, If we confess our sins, He is faithful and just to forgive us our sins and to cleanse us from ALL unrighteousness. ( 1John 1:9) He longs to have fellowship with you again! Get back into the Word of God. Just as your body needs food daily, so does your spirit. 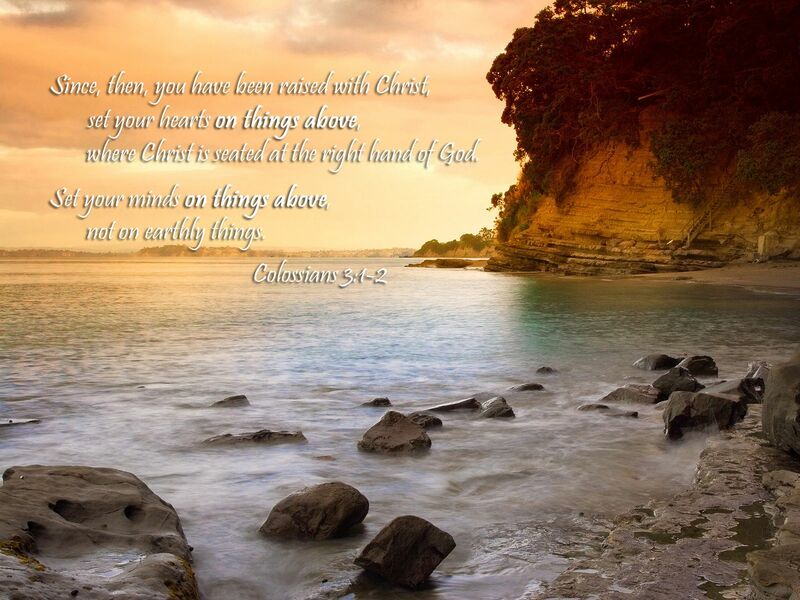 Begin to renew your mind on the things of God through His Word. Aim to spend less time on the temporal and more on the eternal, where the fruit born is eternal. Romans 12:2 NIV2 Do not conform to the pattern of this world, but be transformed by the renewing of your mind. Then you will be able to test and approve what God’s will is—His good, pleasing and perfect will. 2 Corinthians 10:5 NIV 5 We demolish arguments and every pretension that sets itself up against the knowledge of God, and we take captive every thought to make it obedient to Christ. Phillipians 4:8 NIV 8 Finally, brothers and sisters, whatever is true, whatever is noble, whatever is right, whatever is pure, whatever is lovely, whatever is admirable—if anything is excellent or praiseworthy—think about such things.